Between 1991 and 2006, Russian arms sales to China grew tremendously, as China eagerly sought to upgrade its military capabilities by incorporating advanced Russian military equipment and technology. During the 1990s, total arms sales between the two often exceeded USD 1 billion per year, and at their peak in the early 2000s, they averaged well over USD 2 billion per year.1 After 2006, however, arms sales fell rapidly. In fact, over the past five years they have been averaging only USD 800 million per year.2 Moreover, since 2006, the composition of the arms trade has changed significantly. Instead of purchasing aircraft, submarines, and other large platforms characteristic of the earlier period, recently China has limited its purchases to aircraft engines and components of various kinds, along with the occasional helicopter purchase. The persistence of this decline made it hard not to wonder whether China had become a lost market for Russian weapon systems, forcing Russia to look elsewhere to find alternative markets for its products. Today, the situation is quite different, as Russian arms transfers to China are once again on the rise. In April 2015, Russian officials announced that the two had concluded a major contract for the sale of S-400 air defense systems to China at an estimated price tag of $3 billion.3 Moreover, in November 2015, a new contract was announced for the transfer of 24 Su-35 combat aircraft for an estimated price of USD 2 billion.4 Not only do these two transactions represent the largest platform sales between Russia and China since the early 2000s, they also are likely to drive annual arms trade numbers to levels not seen since that period. While these large transactions have garnered most of the attention, they have been accompanied by significant activity in other areas, including a contract for the sale of additional aircraft engines and a spate of new agreements for increased cooperation in the development of defense and dual-use technologies.5 This article examines these developments in greater detail, focusing on the current state and likely future direction of Russian arms and technology transfers to China, cooperation on defense-related research and development, and joint military exercises. Before examining how defense cooperation is likely to evolve, it is useful to assess the factors driving Russia and China to increase their level of cooperation in the first place. Recent increases in defense cooperation are best explained as a consequence of broader changes taking place in their overall relationship. Since at least 2012, Moscow and Beijing have been gradually strengthening their bilateral ties for a variety of reasons, both economic and diplomatic. Among these were a desire to enhance bilateral trade and investment, to increase energy ties, to expand regional cooperation, and to counter increased pressure they were both feeling from Washington (e.g., collapse of the “reset” with Russia and advance of the US pivot to Asia). Since the Ukraine crisis, relations have significantly intensified as Russia sought to increase economic and diplomatic ties in Asia in the face of Western sanctions. Russia has concentrated its efforts on China, perceived to have both the wherewithal (economic and political power) and the willingness (as a long-time strategic partner) to provide the kind of support needed. To a significant extent, overtures to Beijing have paid off; China has stepped up its support for Russia both diplomatically and economically. Enhanced defense cooperation has been an integral part of this process, bringing both financial benefits for Russia’s defense industry and military benefits to both sides, while also helping to strengthen the overall relationship. While signs of this trend were already starting to emerge as early as 2012, the level of defense cooperation has increased significantly since the Ukraine crisis. Russia and China have intensified their level of arms trade, increased the scale and frequency of joint military exercises, and boosted collaboration between their respective defense industries. In fact, this process seems to be gaining momentum as the two have recently announced several new initiatives likely to lead to further cooperation in the military sphere. So what will increased defense cooperation look like during this new phase? For one thing, we are likely to see a further increase in arms trade as well as continued large-scale joint military exercises. Additionally, we will probably see an increase in the number of joint research and development (R&D) programs to produce new military systems. Such programs are likely to become increasingly cooperative in nature, leading to development of new military capabilities intended for use by both sides. We are also going to see for the first time significant arms-related transfers moving in the opposite direction, from China to Russia, as Moscow looks to Beijing as an alternative source of military-related items that Russia can no longer purchase from the West. Russian arms transfers to China will continue to lie at the heart of Sino-Russian defense cooperation during the new phase. In fact, the level of arms trade is likely to increase significantly over the next two to three years, as China takes advantage of Russia’s newfound willingness to transfer advanced military systems which it has previously withheld from China, primarily due to concerns over China’s reverse engineering practices, but also out of lingering worries about arming a potential future adversary. The reverse engineering concern was addressed (at least in part) when the two reportedly signed a new intellectual property agreement in 2012.13 Primarily, however, this newfound willingness is a symptom of Russia’s increased dependence on China after Ukraine; in this regard, the transfer of advanced weaponry constitutes much of the quid pro quo for China’s increased economic and diplomatic support. As mentioned, the two have already signed major new agreements for the sale of Russian S-400 air defense systems and Su-35s Flanker combat aircraft. While garnering most of the attention, these mega-deals are only a part of the story. Arms trade between the two is poised to expand into other areas as well. China is already contemplating purchase of additional Russian submarines, and it could well elect to purchase Russian anti-submarine warfare (ASW) systems, missile technology, and helicopters. Moreover, the two will continue to engage in a fairly high level of trade in aircraft engines, components, sensors, and weapon systems of various kinds. Russian-Chinese arms trading activity has actually been on the rise for some time, even before the Ukraine crisis, although this has not always been fully reflected in the official numbers. In 2012, for example, Beijing signed a sizable contract for the purchase of 55 Mi-17 helicopters for a total price tag of USD 660 million.14 This came on the heels of a USD 500 million contract signed in 2011 for the transfer of 123 additional Saturn AL-31F aircraft engines.15 In 2013, China agreed to buy twelve IL-76MD strategic transport aircraft.16 Notably, the Mi-17 and IL-76 contracts demonstrated China’s continuing interest in platform purchases from Russia, despite a recent history of focusing primarily on the purchase of Russian components. So what specific military capabilities will China seek to obtain from Russia as defense cooperation intensifies? Such decisions will be driven almost exclusively by China’s actual military requirements. For the near-term, China will remain focused primarily on building up its maritime military capabilities both to better support its territorial claims in the “nearby seas” and to give effect to its anti-access strategy, designed to keep US forces (especially air and naval forces) out of contested maritime theaters in time of war to allow Chinese forces to operate freely. In order to fully carry out this strategy, China will need to overcome enduring maritime capability gaps in the key areas covered below. While this article focuses on Russian systems best able to help China fill maritime capability gaps, it should be kept in mind that China may elect to purchase other kinds of systems, including tanks and other ground combat equipment. Despite making significant progress in producing more capable air defense platforms in recent years, China still lags behind Russia in this important area.17 This continuing lag explains China’s recent decision to purchase the S-400, which is Russia’s latest and most advanced air defense system. According to reports, China will purchase 48 systems, sufficient to equip six battalions, for a total price of USD 3 billion.18 The S-400 will significantly boost China’s shore-based integrated air defense system, enabling it to better defend both the mainland and nearby maritime regions from enemy air and missile strikes. Notably, once deployed, its engagement zone will cover the entire territory of Taiwan. China is also likely to be interested in the naval version of the S-400, once it completes development, although the system might require some degree of modification to work with Chinese vertical launch systems (VLS). The naval S-400 would significantly extend the reach of China’s ship-based air defense umbrella, enabling China’s fleet to operate at increasingly greater distances from shore and would also help China’s fleet defend itself against emerging US threats, such as the long-range anti-ship missile (LRASM), which will soon be deployed on the B-1 bomber. China has also made significant strides in developing its domestic aviation industry over the last two decades and now produces several capable fourth generation combat aircraft. Yet, even its most advanced fourth generation systems cannot match the performance of Russia’s Su-35 Flanker, a 4++ generation system, which explains China’s interest in the system. While China is currently developing the J-20, a fifth generation fighter, that plane will not be ready until sometime later this decade. So, the Su-35 will provide an immediate boost for China’s air force while it awaits completion of the J-20. China is also interested in getting its hands on the Su-35’s advanced technology, especially its high performance Saturn 117S aircraft engines and its powerful Irbis-E radar system. After extended negotiations, the two recently announced agreement on the sale of 24 Su-35 fighters at an estimated price tag of USD 2 billion,19 giving China’s airpower a real boost in the Western Pacific. It is a fast, highly maneuverable, and well-armed aircraft, giving it exceptional dogfighting capability, and it matches up well against other combat aircraft. According to a former US Navy pilot, the Su-35 is superior to most US platforms except the F-22 and perhaps the F-15C.20 It also has the range and fuel capacity needed for China to conduct extended combat patrols over disputed areas in the East and South China seas, a capability currently lacking. Thus, the bulk of China’s interceptor fleet is powered by Russian engines. Nor is China’s dependence on Russia likely to end any time soon. China reportedly spent over thirty years developing the WS-10, its first fourth generation turbofan;22 yet, the People’s Liberation Army (PLA) is still dissatisfied with the engine because of its poor reliability.23 Meanwhile, China cannot produce enough aircraft engines to meet the military’s modernization requirements. Consequently, China has no alternative but to continue to purchase Russian engines for the time being. In late 2014, in fact, China agreed to purchase 100 additional Klimov RD-93 engines for its FC-17 and J-31 aircraft programs.24 Recently, Russia also agreed to supply additional AL-31 engines for use in export versions of China’s J-10B.”25 Given China’s continuing problems in the production of advanced aircraft engines, purchase of additional AL-31 engines from Russia seems highly likely. China also remains committed to improving the capabilities of its submarine fleet. Aside from a few Chinese ballistic missile submarines dedicated to strategic deterrence, most of the fleet is optimized for anti-surface warfare. For this purpose, they are amply equipped with powerful anti-ship cruise missile systems (ASCMs).26 However, as the Office of Naval Intelligence has noted, “China’s submarines are not currently optimized for two missions at the core of US submarines—[anti-submarine warfare (ASW)] and land attack.”27 Moreover, Chinese submarines are all still far too noisy to evade detection by advanced US ASW systems. China hopes that sophisticated Russian submarine technology can help it to overcome these deficiencies. This explains China’s longstanding interest in purchasing Russia’s Lada-class submarine, its most advanced diesel-electric submarine. The two have been discussing transfer of the Lada for several years. While talks initially centered on the joint production and transfer of four submarines,28 since then the arrangement has apparently evolved into a joint project to develop a new conventional submarine for China based on the Lada.29 Given the Lada’s enduring performance problems and its lack of an air-independent propulsion system, a joint development project seems much more sensible. A new submarine based on the Lada would give China’s fleet a significant boost. The Lada is among the quietest diesel electric submarines in the world. Moreover, it is a multirole submarine, designed for the land-attack and anti-submarine mission as well as the anti-surface warfare role. The Lada would be ideal for helping China to overcome the remaining deficiencies in its conventional submarine fleet. While the new submarine would directly boost China’s undersea capabilities, its indigenous submarine programs would also benefit from access to the Lada’s sophisticated quieting technology as well as its advanced sensors and weapons systems. Over the last two decades, China has made great progress in improving the capabilities of its surface fleet, which now compares quite favorably with those of most other modern navies. While much of this progress has been fueled by access to advanced Russian technology, recently China has been producing all of its warships domestically, and most of its on-board systems as well.30 Still, certain key deficiencies remain. While China has made significant strides in improving its fleet air defense and anti-surface warfare capabilities, its anti-submarine warfare (ASW) systems remain woefully underdeveloped, leaving its fleet vulnerable to submarine attack even when operating close to shore. Moreover, inland targets remain highly vulnerable to attack from Tomahawk land-attack missiles hosted on quiet US submarines. While China has finally begun to rectify its ASW deficiency, its fleet could still benefit significantly from increased Russian defense assistance in this area. Russia has a number of ASW systems that could assist China to overcome its perennial ASW problems. For example, China has only recently begun to deploy towed array sonar systems, which are crucial for detecting and tracking enemy submarines. While a step forward, there is evidence that these Chinese systems are inadequate by modern standards.31 The Russians, by contrast, offer several capable systems, e.g., Morphyspribor, Russia’s leading sonar developer, recently introduced the Vinyetka, a modern low-frequency towed-array sonar. In active mode, the “Vinyetka is claimed to be capable of achieving detections out to 15-20 kilometers in littoral waters, extending to 40-60 kilometers in deep-water conditions.”32 Such a system would be ideal for China, which has the dual challenge of detecting both conventional submarines operating in the littorals as well as near-silent US nuclear submarines operating in the deeper oceans. To destroy the submarine once located, China would also benefit from advanced Russian systems like the Klub 91RE2, Russia’s latest medium-range ASW supersonic missile with a range of 40 kilometers. It approaches the target submarine through the air, but once it reaches the vicinity, it descends to sea level where it deploys a fast self-homing torpedo. However, the 91RE2 might require modification to be launched from a Chinese VLS. Since the Cold War, China’s ballistic and cruise missile programs have also benefitted significantly from Russian defense assistance. Early on, Russia transferred certain anti-ship cruise missile systems to China, including the SS-N-22 Sunburn and the SS-N-27 Klub Sizzler, and these were instrumental in building up China’s anti-ship strike capability. Otherwise, Russia has focused primarily on transferring specific missile technologies, such as navigation systems, that have broad applicability to China’s missile program. Such transfers are likely to continue. From time to time, however, reports have surfaced about the potential sale of Russia’s Iskander missile system to China.33 This is a short-range, road-mobile missile system, and it is quite advanced, with a range of up to 500 kilometers and very high accuracy. The Iskander also has powerful built-in maneuverability designed to defeat US ballistic missile defense systems. While China currently makes several capable short-range missiles of its own, the Iskander’s advanced features make it an attractive option for the Chinese. Even if China decides not to purchase the Iskander outright, Beijing is likely to be highly interested in gaining access to the Iskander’s advanced technology, especially its digital scene-mapping guidance system, which gives it great accuracy, and its gas dynamic system, which gives it exceptional maneuverability. Over the years, Russia and China have engaged in a number of military-related joint R&D projects. For the most part, these arrangements have been designed to “facilitate Russian technology transfers to China.”34 Some of China’s most important weapon systems have been developed through such projects, including the “PL-12 air-to-air missile, the HQ-16 SAM system . . . and the Project 054À frigate.”35 Given Russia’s increased willingness to share its technology, and China’s enduring desire to become more self-sufficient, such projects are likely to continue during the new phase, and they may well increase over time. While many of these are relatively small and receive little publicity, one exception is a new helicopter project. In May 2015, the two signed a framework agreement to jointly develop an advanced heavy-lift transport helicopter based on Russia’s existing Mi-26, which would be produced in China and used by the PLA.36 Final agreement is expected before the end of the year, with production to start in 2016. We are also starting to see the emergence of new kinds of joint R&D arrangements, more co-equal in nature, in which both seek to use the resulting technology. For instance, in November 2014, ROSTEC and AVIC, a Chinese aerospace company, signed an agreement to collaborate on the development of “fixed-wing and helicopter manufacturing, engine production, materials, avionics, and [other similar products].”37 Reportedly, the results are intended to meet both military and commercial requirements in both Russia and China.38 A ROSTEC representative “also stated that AVIC is considering deeper collaboration with materials specialist RT-Chemcomposite, titanium producer VSMPO-AVISMA, and radio-electronic technologies company KRET.”39 In October 2014, ROSTEC and CASC, a Chinese aerospace company, signed an agreement for co-development and production of “electronic components, information technologies, communications, automation systems, new materials, and ‘other spheres.’”40 This came on the heels of similar agreements signed with other Chinese companies. Not all of these projects will reach fruition, but they do indicate the high level of interest in collaborative R&D that has emerged recently, reflecting both China’s increased technology level as well as Russia’s growing desire for collaboration with China as a means to offset its reduced access to Western technology. We might see Russia turn to China for more advanced military systems, as well. For example, there is reportedly some interest in Russia in purchasing Chinese UAVs.43 China is ahead of the Russians in this area. Beijing has also recently attempted to sell Chinese warships to Moscow. Earlier this year, a pair of Chinese Jiangkai II frigates were dispatched to the Black Sea, principally to participate in joint military exercises with Russia, but also to demonstrate their capabilities for the Russian navy.44 While the prospects for such a sale may seem rather remote today, they provide a glimpse of where the relationship is likely to be heading. Joint exercises provide an opportunity for Russia and China to develop operational capabilities, improve interoperability, and gain experience under a variety of simulated combat scenarios. They also serve to enhance military ties, reinforcing the overall defense relationship. In the past, China has tended to gain more from these exercises by learning from Russia’s more experienced military commanders.51 As the PLA has gained experience, this has become less true. Nevertheless, the increase in the frequency and scale of joint military exercises commencing in 2014 (after Ukraine) highlights the importance of political factors in the planning and conduct of such exercises. At a time when both powers have been under increased pressure from Washington, joint military exercises send a clear signal that the two have options if pressed. While it has now become clear that China and Russia have entered into a new and intensified phase of defense cooperation, the full implications of this development have yet to emerge into full view. In part, this reflects certain enduring factors likely to moderate the level of defense cooperation to some extent, such as China’s increasing self-sufficiency and lingering Russian concerns about Chinese reverse engineering practices. Still the factors driving the two towards closer defense cooperation remain quite strong at this point, and they are likely to endure at least over the next few years. For Russia, enhanced arms and technology transfers are seen as a way to maintain good relations with China at a time when Russia needs China’s support more than ever to offset increased economic and diplomatic pressure from the West. Moreover, Russia’s need for Chinese defense and dual-use technologies is now greater, because of its diminished access to Western technology. China, for its part, expects to benefit from greater access to Russian technology. Moreover, having a closer strategic relationship with Russia gives China another card to play in its own geopolitical struggles with the West. The same holds true for Russia. Whether this trend will continue over the long run, however, remains far less clear. Underlying geopolitical differences, for example over Central Asia, could lead to renewed tensions between the two, and these could spill over into the defense relationship as well. Moreover, much will depend on whether Russia can repair its frayed relations with the West, which would give it alternatives. In any case, we can already discern some of the key implications. With the sale of the S-400 and Su-34, Russia has demonstrated an increased willingness to transfer some of its most sophisticated military systems to China. Given this shift, we could well see additional sales of high-end platforms such as the Lada submarine and Iskander missile. We should also expect to see an increase in the level of collaboration between the Russian and Chinese defense industries. We are already starting to see an increase in joint R&D programs, and this is likely to continue principally because, after Ukraine, Russia’s need for an alternative partner has increased dramatically, especially one with deep enough pockets to fund expensive programs. China will be eager to collaborate in such programs in order to gain greater access to Russian technology. We are also likely to see a further negative tilt in the Western Pacific military balance as China begins to deploy some of its new Russian weapons systems, such as the Su-35 and S-400. These will allow China to further enhance its anti-access capabilities, which, in turn, will increase the defense challenge for both its maritime neighbors and the United States. Russia will be able to offset the effects of the Western arms embargo to some extent by substituting Chinese products. Over time, Russia’s military is also likely to benefit from joint R&D activities as the fruits of such projects are to be increasingly shared between both Russia and China. In the long run, closer integration between their respective defense industries poses one of the greatest potential dangers from their intensified defense cooperation. If such cooperation lasts for any real duration, still far from guaranteed, the combination of Russian technology coupled with Chinese funding and industrial capacity could lead to developments that pose a formidable challenge. 1. Data from the Stockholm International Peace Research Institute (SIPRI) Arms Transfer Database, available at http://www.sipri.org/databases/armstransfers (hereafter SIPRI Arms Transfer Database); Linda Jakobsen, Paul Holtom, Dean Knox, and Jingchao Peng, China’s Energy and Security Relations with Russia: Hopes, Frustrations and Uncertainties (SIPRI Policy Paper 29, October 2011), 14. 2. Date from SIPRI Arms Transfer Database, Stockholm International Peace Research Institute, http://www.sipri.org/databases/armstransfers; Linda Jakobsen, et al., China’s Energy and Security Relations, 14. 3. “China and Russia Sign Contract for S-400 Missile Systems,” The Moscow Times,April 13,2015, http://www.themoscowtimes.com/business/article/china-and-russia-sign-contract-for-s-400-missile-systems/519010.html. 4. Dave Majumdar, “Confirmed: Russia Just Sold 24 Lethal Su-35 Fighters to China,” The National Interest, November 19, 2015, http://nationalinterest.org/blog/the-buzz/confirmed-russia-just-sold-24-lethal-su-35-fighters-china-14397. 5. Jon Grevatt, “Briefing: China and Russia Enter New Era of Industrial Collaboration,” Jane’s Defense Weekly,September 16, 2015. 6. Artyom Lukin, “Russia’s Eastward Drive – Pivoting to Asia . . . or to China?” Russian Analytical Digest, no. 169 (June 30, 2015): 2. 8. Angelo Young, “Russia Will Hold Key Positions in China-Led Asia Infrastructure Investment Bank,” International Business Times, June 27, 2015, http://www.ibtimes.com/russia-will-hold-key-positions-china-led-asian-infrastructure-investment-bank-1986824. 9. Galiya Ibragimova, “What are the Implications of India’s and Pakistan’s Accessions to the SCO?” Russia Beyond the Headlines, July 14, 2015. 10. Alexander Gabuev, “Eurasian Silk-Road Union: Towards a Russia-China Consensus?” The Diplomat, June 5, 2015, http://thediplomat.com/2015/06/eurasian-silk-road-union-towards-a-russia-china-consensus/. 11. Artyom Lukin, “Russia’s Eastward Drive,” 2-3. 12. “Russia Signs 30-year Gas Deal with China, BBC News, May 21, 2014, http://www.bbc.com/news/business-27503017. 13. Peter Dunai and Matthew Smith, “Russia, China S-400 Deal Moves Forward,” Jane’s Defense Weekly, April 1, 2014. 14. Data from SIPRI Arms Transfer Database, Stockholm International Peace Research Institute, http://www.sipri.org/databases/armstransfers. 15. 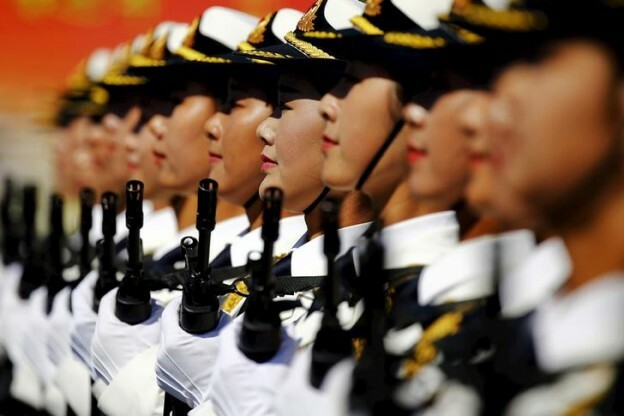 Vassily Kashin, “China’s Call for Arms,” Russia Beyond the Headlines, December 16, 2013, http://rbth.asia/security/2013/12/16/chinas_call_for_arms_48971.html. Note that SIPRI numbers differ slightly, indicating two distinct transactions for a total of 163 engines. 16. Vassily Kashin, “China’s Call for Arms,” The Voice Of Russia, June 17, 2013, http://sputniknews.com/voiceofrussia/news/2013_06_17/China-to-get-dozen-of-Russian-Il-76-strategic-airlifters-3552/. According to the SIPRI Arms Transfer Database, only five have been delivered to date. 17. US Department of Defense, Office of the Secretary of Defense, Annual Report to Congress: Military and Security Developments Involving the People’s Republic of China 2015 (Washington, DC: 2015), 51. 18. “China and Russia Sign Contract for S-400 Missile Systems,” The Moscow Times, http://www.themoscowtimes.com/business/article/china-and-russia-sign-contract-for-s-400-missile-systems/519010.html. 20. Harry J. Kazianis, “China Nears Deal to Acquire Russia’s Lethal Su-35 Fighter,” The National Interest, August 27, 2015, http://nationalinterest.org/blog/the-buzz/china-nears-deal-acquire-russias-lethal-su-35-fighter-13717. 21. Richard D. Fisher, “Analysis: Can China Break the Military Aircraft Engine Bottleneck?” Flight Global, May 27, 2015, https://www.flightglobal.com/news/articles/analysis-can-china-break-the-military-aircraft-engine-412424/. 23. Reuben F. Johnson, “PLA and Chinese Industry at Odds over Russian Fighter Engines,” Jane’s Defense Weekly, September 12, 2014. 24. Nikolai Novichkov, “Airshow China 2014: Russia to Supply China with More RD-93 Turbofans,” Jane’s Defense Weekly, November 18, 2014. 25. “China May Export J-10B Fighters with Russian AL-31FN-S3 Engines,” Want China Times, July 8, 2015. 26. Dennis M. Gormley, Andrew S. Erickson, and Jingong Yuan, A Low-Visibility Force Multiplier: Assessing China’s Cruise Missile Ambitions (Washington, DC: National Defense University Press, 2014), xviii. 27. Office of Naval Intelligence (ONI), The PLA Navy: New Capabilities and Missions for the 21st Century (Suitland, Maryland: 2015), 19. 28. See for example, “China, Russia Sign Arms Sales Contract,” CCTV.com English News, March 25, 2013, http://english.cntv.cn/program/china24/20130325/106963.shtml. 29. Michael T. Flynn, Lieutenant General, US Army, Director, Defense Intelligence Agency, “Annual Threat Assessment” (statement before the Senate Armed Services Committee, United States Senate, Washington, DC on February 11, 2014), cited in “China Insights from DIA Director LtGen Flynn’s SASC Testimony,” available at http://www.andrewerickson.com/2014/03/china-insights-from-dia-director-ltgen-flynns-sasc-testimony/. 30. See generally, Paul Schwartz, Russia’s Contribution to China’s Surface Warfare Capabilities, Feeding the Dragon, (Washington, DC: Center for Strategic and International Studies, August 2015). 31. “Plan Surface Ship Gains Towed-Array Sonar,” Jane’s Navy International,December 8, 2011. 32. Richard Scott, “Steregushchiy Heralds a New Russian Revolution,” Jane’s Navy International, September 24, 2007. 33. “Russia Likely to Sell Iskander-E Missiles to China and Belarus,” Defense World, July 18, 2014, http://www.defenseworld.net/news/10825/Russia_Likely_to_Sell_Iskander_E_Missiles_To_China_And_Belarus#.VkXdWWBdHIU. 34.Jon Grevatt, “Briefing: China and Russia Enter New Era of Industrial Collaboration,” Jane’s Defense Weekly, September 16, 2015. 36.Greg Waldron, “Russia, China to Develop Massive Heavy-Lift Helicopter,” FlightGlobal, May 11, 2015, https://www.flightglobal.com/news/articles/russia-china-to-develop-massive-heavy-lift-helicop-412140/. 37.Jon Grevatt, “Airshow China 2014: ROSTEC, AVIC Sign Collaboration Agreement,” Jane’s Defense Weekly, November 12, 2014. 40.Jon Grevatt, “Russia’s ROSTEC and China’s CASC Sign Collaboration Accord,” Jane’s Defence Weekly, October 17, 2014. 41.Matthew Bodner, “Russia-China Military Ties Deepen Amid Western Pressure over Ukraine,” The Moscow Times, December 1, 2014, http://www.themoscowtimes.com/business/article/russia-china-military-ties-deepen-amid-western-pressure-over-ukraine/512217.html. 42.“Russian and China Strengthen Rapprochement in the Military Field, Vzglyad Online, November 19, 2014, http://vz.ru/society/2014/11/19/716036.html. 43.“Russia May Look to China to Acquire Drone Technology,” Want China Times, June 3, 2014, http://www.wantchinatimes.com/news-subclass-cnt.aspx?id=20140603000005&cid=1101. 44.Sam LaGrone, “Two Chinese Warships Enter Black Sea, Reports Link Visit to Possible Chinese Frigate Sale to Russia,” USNI News, May 5, 2015, http://news.usni.org/2015/05/05/two-chinese-warships-enter-black-sea-reports-link-visit-to-possible-chinese-frigate-sale-to-russia. 45.Jeffrey Mankoff, “Russia’s Asia Pivot: Confrontation or Cooperation?” Asia Policy 19, no. 1 (2015): 77. 46.Shannon Tiezzi, “China Hosts SCO’s Largest Ever Military Drills,” The Diplomat, August 29, 2014, http://thediplomat.com/2014/08/china-hosts-scos-largest-ever-military-drills/. 47.Zachary Keck, “China, Russia Military Ties Deepen with Navy Drill in East China Sea,” The Diplomat, May 2, 2014, http://thediplomat.com/2014/05/china-russia-military-ties-deepen-with-naval-drill-in-east-china-sea/. 48.Franz-Stefan Gady, “China and Russia Conclude Naval Drill in Mediterranean,” The Diplomat, May 22, 2015, http://thediplomat.com/2015/05/china-and-russia-conclude-naval-drill-in-mediterranean/. 49.Jack Caravelli, “Russia, China Expand Ties with Largest Naval Exercise Yet,” The Washington Free Beacon, September 1, 2015, http://freebeacon.com/national-security/russia-china-expand-ties-with-largest-naval-exercise-yet/. 50.Ankit Panda, “Russia Plans South China Sea Naval Exercise with China in 2016,” The Diplomat, June 1, 2015, http://thediplomat.com/2015/06/russia-plans-south-china-sea-naval-exercise-with-china-in-2016/; “Russian Media: Peace Mission 2016 Exercises will be Held in Kyrgyzstan,” Secroll, November 19, 2015, http://en.secroll.com/article/8652. 51.Linda Jakobsen, et al, “China’s Energy and Security Relations with Russia,” 24.